The summer is half way over. I bought some great clothes for my kids at the beginning of summer. Lots of shorts, shirts, etc. Unfortunately, the kids have had a growth spurt. Now the shorts don't fit, the tshirts are half shirts and don't get me started on the shoes. What does that mean? I have to go shopping! True, I like to shop, but I don't have tons of time to go from store to store. I like to order items on-line while I'm watching my favorite television shows or while I'm working out. Gotta multi-task. Plus, I want a deal. Whether it's a sale or cash back, I won't pay full prize. That's why I'm a big fan of zuuzs! 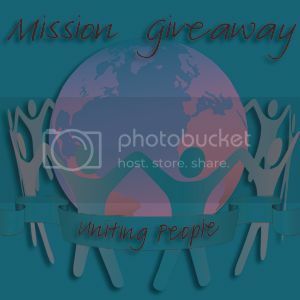 This week zuuzs is sponsoring the Mission Giveaway. What can you win? Grand Prize: $50 Amazon Gift Card for you and one for a friend! Here's How You Enter: The Giveaway will open up on Tuesday 7/17 at 12:01 am EST and Close on Friday 7/20 at 11:59 pm EST. 4) Complete additional entries towards the bottom and come back for additional daily entries! That's it! You have successfully entered this awesome giveaway!